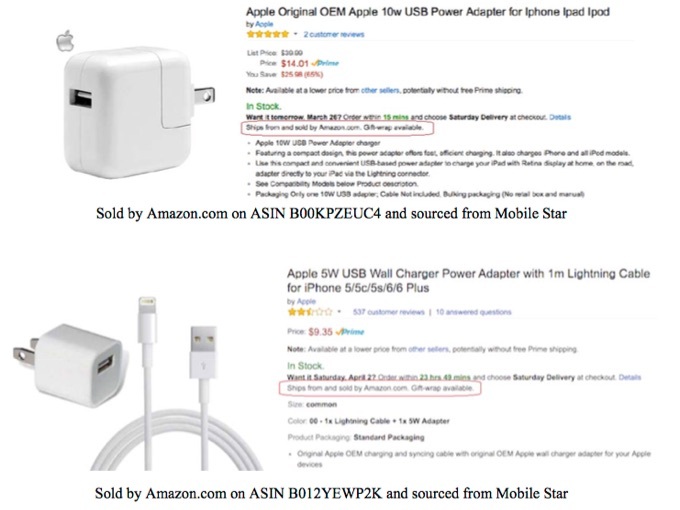 Apple purchased the power products identified below (ASIN B012YEWP2K) from Amazon.com and determined that they were counterfeit. 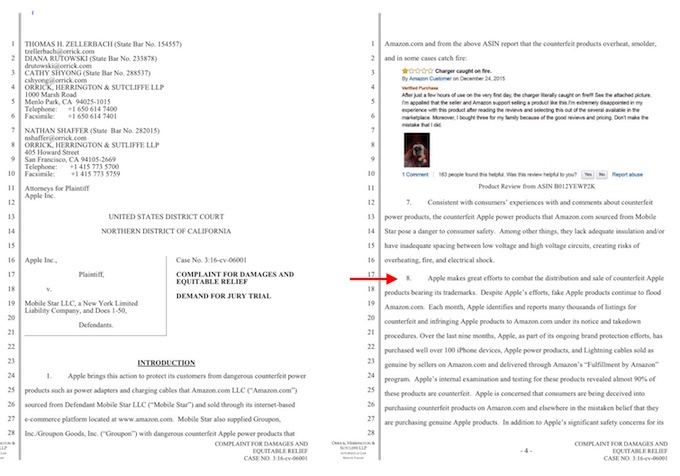 Apple was informed by Amazon.com, and upon that basis is informed and believes, that Mobile Star was the source of those particular counterfeit power products purchased by Apple. 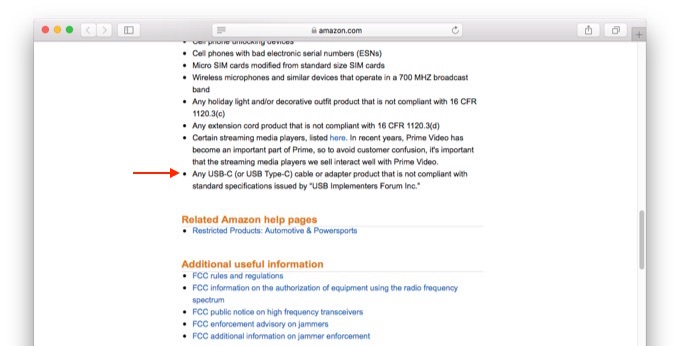 Consumers, relying on Amazon.com’s reputation, have no reason to suspect the power products they purchased from Amazon.com are anything but genuine. […] Consumers are likewise unaware that the counterfeit Apple products that Amazon.com sourced from Mobile Star have not been safety certified or properly constructed, lack adequate insulation and/or have inadequate spacing between low voltage and high voltage circuits, and pose a significant risk of overheating, fire, and electrical shock. Apple power products, and Lightning cables sold as genuine by sellers on Amazon.com and delivered through Amazon’s “Fulfillment by Amazon” program. Apple’s internal examination and testing for these products revealed almost 90% of these products are counterfeit. Update 10/19/16 at 3:40 p.m. ET to include Amazon’s statement.